ITITSTRAP’s range of PET strapping is exclusively distributed in Australia by Live Industrial . PET strapping is ideally suited to all industrial applications and Live Industrial is pleased to announce the release of ITISTRAP's new range of PET strapping - E-Flex. E-Flex is ITISTRAP's well known Flexter strapping, but is embossed instead of smooth. E-Flex PET strapping is manufactured from the same special raw materials and additives as Flexter, specially selected to ensure excellent splitting resistance, a reduced relaxation and joint efficiency, but it is lighter and more cost effective. E-Flex PET strapping is an excellent compromise for manufacturing, distribution and warehousing customers that need the higher breaking strengths of Flexter PET strapping, but want to keep costs down. ITISTRAP's range of PET strapping also includes Standard and Flexter. Standard PET strapping is manufactured from high-quality raw materials that have been carefully selected and controlled in order to obtain a high-tensile strength and elasticity, a reduced relaxation and a good joint efficiency. The Standard range of PET strapping is similar to a hand-grade PET strapping, and works well with strapping tools, both battery and pneumatic, and works well on automatic machines in most applications, eg. PET bottles, cans, chipboards, concrete blocks. Flexter PET strapping is manufactured from special raw materials and additives that are specifically selected to guarantee excellent splitting resistance, a reduced relaxation and a joint efficiency that can reach 100%. The Flexter range is machine-grade PET strapping that has been treated with special additives to prevent splitting. It is particularly suited for use with strapping tools through to fully automatic machines. Flexter PET strapping is also suitable for use in difficult applications, including in the timber, brick, glass, aluminium, and steel industries. Some companies within the Australian manufacturing industry are moving away from using steel strapping as they are seeing the benefits and cost savings of using PET strapping such as ITISTRAP’s Standard, Flexter and E-Flex range of PET strapping. ITISTRAP's range of PET Standard, Flexter and E-Flex strapping is available in a selection of widths, thicknesses and lengths, as well as numerous colours. 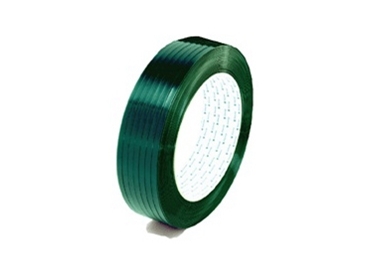 PET strapping is suitable for all industrial applications and is available exclusively from Live Industrial.